Aging is a natural part of life. Even with this all-too-true fact, statistics show that not many people are well-prepared for this stage of life. In fact, many Americans significantly underestimate the budget they will need for themselves or their loved ones when it comes to retirement, senior-care and assisted-living considerations. According to a study by the American Society of Actuaries, a healthy 65-year-old man is 40 percent likely to live until he is 85 years old, while a woman of the same age and health status is 53 percent likely to live as long. I think we can all agree that it is truly a wonderful thing that people are leading healthier lives and increasing their life expectancy. However, surveys show that 40 percent of people in the United States don’t actually believe that they will live beyond 80 years old. In addition, only a few people actually plan and save for senior care despite a report from the Department of Health and Human Services showing that almost 70 percent of Americans above the age of 65 will require long-term care during their lifetime. 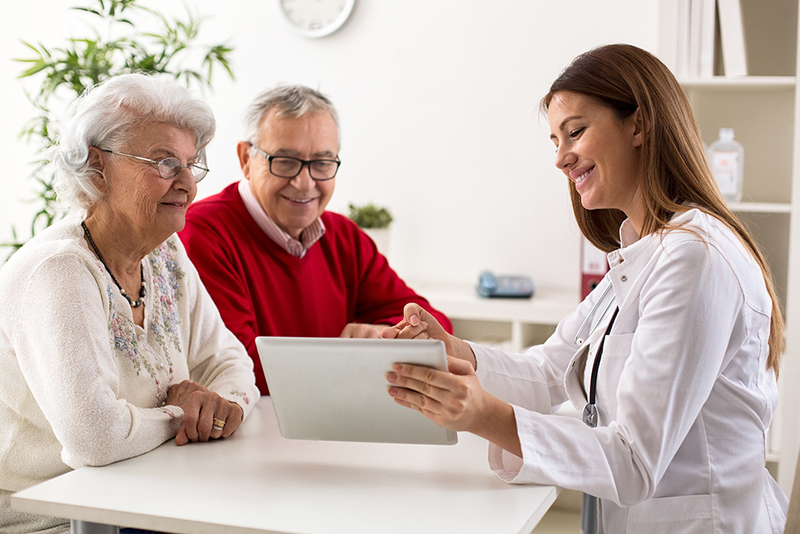 Planning for senior care is the key to ensuring that you or your loved ones will be able to transition to the latter stages of life comfortably. But how do you know how best to budget for senior care? Daniel E. Straus, president and CEO of Care One, offers some insight. Assisted living is suitable for people who are no longer able to live safely on their own, but only require minimal care. With this option, residents are provided assistance with medications, meals, housekeeping, and performing daily tasks. Residents can live in their own private apartments with staff members available around the clock in case of emergency. Depending on the size of the residence or apartment, and the level of assistance required, assisted living services can range from $4,000 to $7,000 a month. Long-term care is advisable for seniors who need a higher level of medical care and assistance. In a long-term care facility, residents are taken care of by a licensed nursing staff 24 hours a day. Some residents can stay on a short-term basis, but there are others who opt to stay long-term. Staying at a nursing home can cost $10,000 per month. Residential home care provide a higher level of care as compared to assisted living, while offering the privacy and comfort only a home setting can provide. Residents can share a room with others or have a room of their own. Either way, they will be looked after by live-in caretakers and a daily staff. Living in a residential care home can range between $1,500 and $3,000 every month. It is common for many seniors to want to stay in their own home instead of moving to a senior-care facility. With this scenario, home-care assistants are hired to provide support with everyday tasks such as meal preparation, transportation, bathing, and making appointments with doctors, dentists, or even the hairdresser. Companies like Ascend Concierge offer these services to those looking for a more familiar setting. Depending on the level of care a person requires, home care assistants can either come in once a week or stay with their clients 24 hours a day. Costs associated with this service vary but home care assistants are usually paid on an hourly basis. Next, Mr. Straus recommends preparing a budget. According to Assisted Living Today, in order to determine how much money you can set aside for senior care, the first thing you need to do is identify your monthly income sources. These may include your social security, retirement benefits, employment, and investments, as well as financial support from family or friends. This should help you determine if you can afford to pay for senior care over a significant amount of time. It is also recommended to create a list of assets their value. These include stocks and bonds, bank savings, and long-term healthcare insurance policies. They may provide additional funds in case main sources of income fail or are insufficient. Once you have an idea of budget, the next step is to determine monthly losses and expenses. These include taxes, loans and mortgages, insurance premiums, medical bills, and other daily expenses. These are important items that should be considered when determining the amount of money available to spend on senior care. It is always advisable to consult a finance expert and seek professional advice during this process as well. A financial adviser may be able to provide you with more information on additional budgeting strategies or possible expenses that you might have overlooked, allowing you to better prepare for what the future may bring. If you are interested in discussing the senior-care needs of a family member or loved one, or planning for your future, contact a CareOne representative today to learn more about options that are available to you.